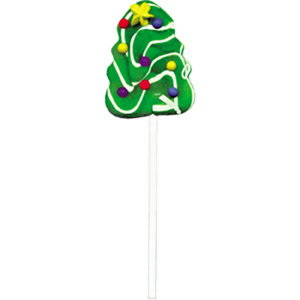 A swirled ribbon of candy makes this Christmas Tree shaped pop with icing ornaments and star at the top. Swirl pop measures 5 1/4 inches, and is mixed fruit flavor. Packed 48 per pack, 49¢ each.